Shrimp go great with everything, it's just a fact. 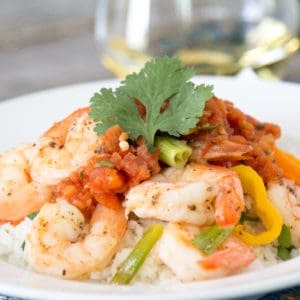 But they go especially well in this easy roasted shrimp recipe paired with peppers and green onions - and a yummy summer cider. Perfect for a quick meal or an easy appetizer, these Easy Roasted Shrimp with Sweet Peppers are packed with flavor. Whole Foods Market asked if I’d create a summer-friendly recipe to celebrate the release of Golden State Cider‘s new Radical Paradise pineapple cider. Radical Paradise is made with whole pineapples, cinnamon sticks, piloncillo raw cane sugar, and it’s only available at Whole Foods Market stores in Northern California. NorCal gets the Giants AND pineapple cider. It’s an embarrassment of riches, really. lemony tang are a fabulous match for the crisp, surprisingly dry Radical Paradise pineapple cider. Plus, the combination of colors is a knockout, so you can throw them on a platter for a party or BBQ and everyone will think you’re brilliant. I’m a big fan of dishes that take less than 20 minutes and are capable of blowing minds, aren’t you? You could certainly cut this recipe in half for 1 lb of shrimp, but I wouldn’t. These are delicious chilled too, so pop the leftovers (if there are any) in the fridge and make your coworkers jealous with tomorrow’s lunch. 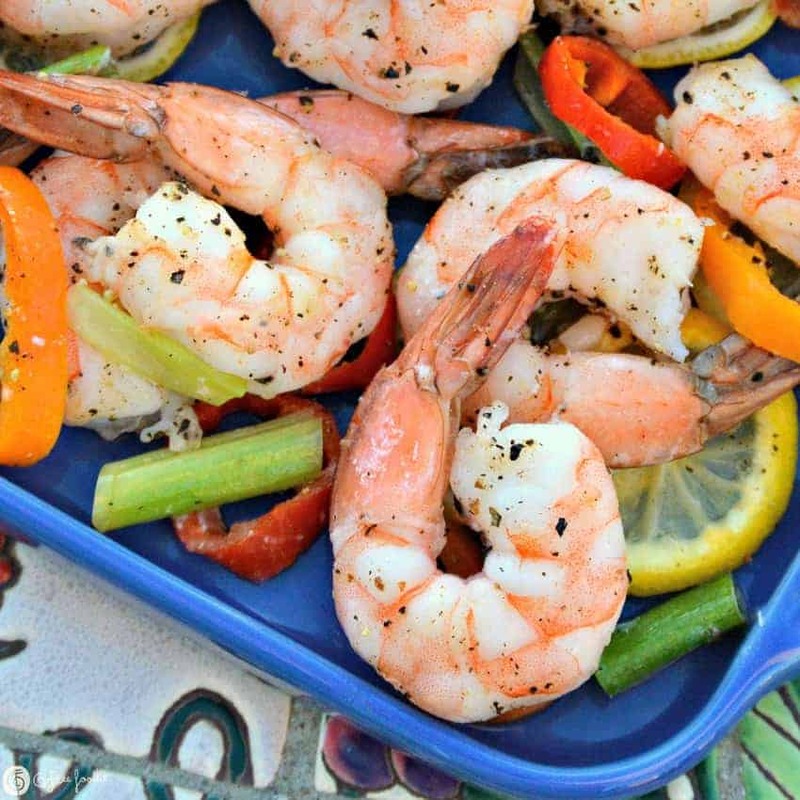 In a large bowl, toss the shrimp with 2 tablespoons of olive oil, onions, peppers, lemon slices and the salt & pepper. Add a bit more olive oil to coat of needed. 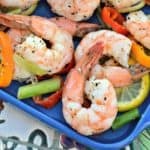 Arrange the shrimp in 1 layer on a rimmed sheet pan, ensuring that the peppers and lemon slices are spread evenly throughout. Roast for 8 to 10 minutes, just until the shrimp are pink, firm and cooked through. Serve alone or over salad, pasta or rice. The folks from Whole Foods Market provided materials for this post. All words and ideas are my own. Thank you for supporting the brands I work with, which allows G-Free Foodie to grow. This entry was posted in Appetizers & Snacks, Dairy Free, Fabulous Fish Dishes, Main Dishes, Paleo Friendly, Recipes and tagged autism diet, dairy free, dinner, g-free diet, G-Free Foodie, gluten free, gluten free cooking, gluten free food, gluten free snacks, kc cornwell, paleo, paleo friendly, whole foods market, whole foods market gluten free. Bookmark the permalink.